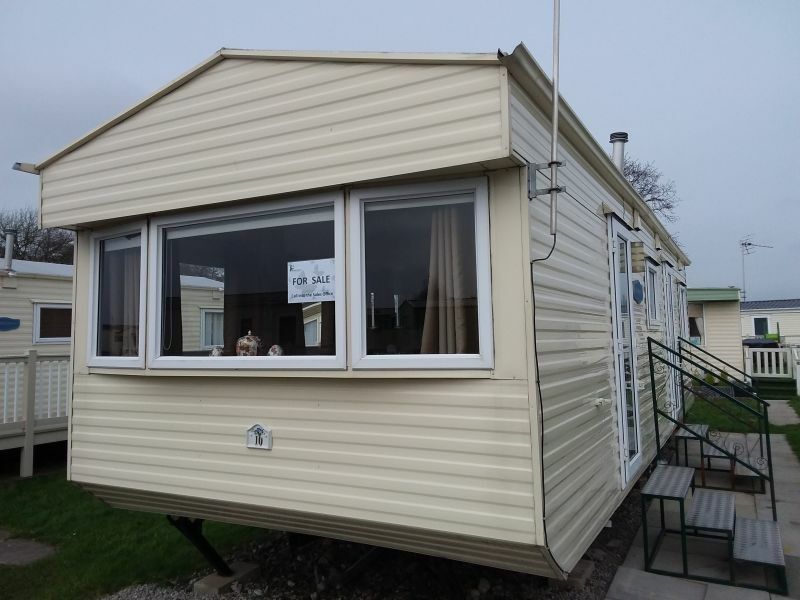 A cracking caravan to get yourself on the holiday home ladder! Open plan living with newly fitted carpets and soft furnishings throughout giving a modern, cool look. Lounge seating having also been recently re-upholstered includes pull-out bed for extra sleeping capacity, electric fire and fitted units leading to dining area with fixed seating and stools. Galley style fully fitted kitchen includes gas cooker, under counter fridge/freezer and plenty of storage. Both bedrooms are of a good size with wardrobes, bedsides and overhead cupboards. Family bathroom has shower unit, wash basin and WC and can be accessed from the master bedroom and the hall.